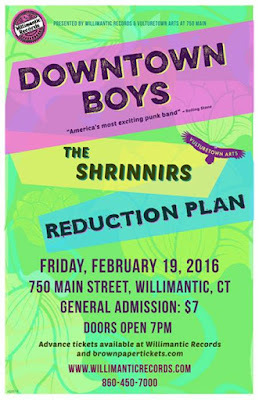 "Chaos and Joy in Willimantic!" 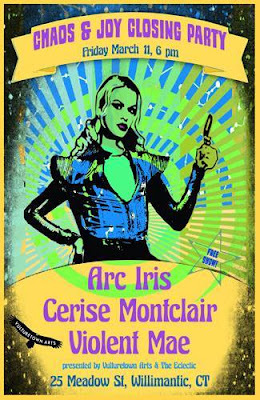 closing party March 11th with ARC IRIS, CERISE MONTCLAIR, VIOLENT MAE, and lots more. 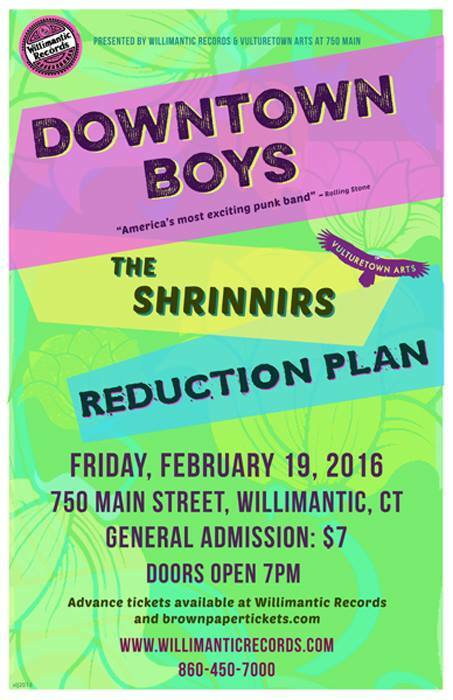 Vulturetown Arts and The Eclectic present the closing party for the second annual Chaos and Joy in Willimantic! multimedia art show. Featuring dozens of local artists, filmmakers and musicians. Also, a brown paper bag art sale to benefit the No Freeze Project. We have a few surprises lined-up as well! Friday, March 11th, 2016 at 6pm. Gallery hours for the second annual "Chaos and Joy in Willimantic!" Sat Feb 13th performances by Hanging Hills, Dr Martino and Losing Season. 7:00pm. Fri. March 11th - Chaos and Joy closing Party featuring Arc Iris, Cerise Montclair and one more TBA 7:00pm.